103 amazing classic cars will go under the hammer in Classic Car Auctions Christmas sale 2015 at the Warwickshire Exhibition Centre, just outside Leamington Spa, on Saturday 5th December. Classic Car Auctions (CCA) last sale of the year is also boasts one of their best catalogues yet. The line up for Classic Car Auctions Christmas sale 2015 includes rare and exciting classic cars for sale, modern sports cars and even cars owned by celebrities. Carphile.co.uk take you through a few of the highlights. 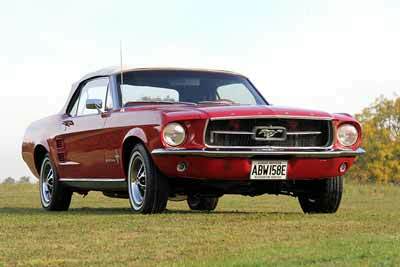 First up for sale is this 1967 Ford Mustang Convertible, currently owned by legendary British actor and Game of Thrones star Charles Dance and estimated at between £25,000 and £30,000. The beautiful Mustang has been owned by Charles since 2002 and was his daily driver right up until 2013 before the car was treated to a full restoration, undertaken by renowned specialist Phil King at Classic American Restoration Services. The restoration work comprised of new floor pans, rear wings, a fully rebuilt 289 V8 engine and a complete new braking system (and the list goes on) before a full bare metal re-spray, with a re-trimmed red leather interior and cream hood. The restoration was only completed in August this year but Mr Dance has decided it is the time for his Mustang to find a new home. It goes under the hammer with an estimate of between £25,000 and £30,000. 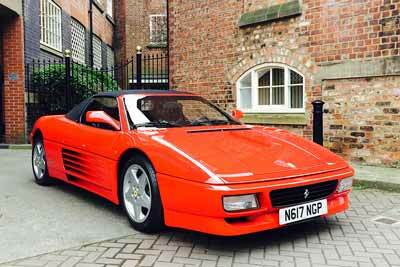 For Ferrari fans at Classic Car Auctions Christmas Sale 2015, there is this beautiful manual 1995 Ferrari 348 Spider. With just 34,285kms, this pampered prancing horse is one of just 1,090 348 Spiders Ferrari produced. Presented in Rosso Corsa with a Nero leather interior, CCA estimate the car will sell and for between £40,000 and £45,000. This must make it one of the best-value Ferrari’s on the market right now (presuming it doesn’t sell for more). This rare 1978 Saab 96L Souvenir V4 is the very last Saab 96 made for the UK market and has covered a mere 3,010 miles from new in total. The innovative Saab 96 was in production for 13 years and was renowned for its strength and design. The car is also famous for Rally successes in the hands of the late Eric Carlsson. This car is number 150 of 150 right-hand drive model 96 V4 Souvenir produced for the UK and comes with a certificate from Saab to confirm this. In time-warp, factory original condition throughout with the Cardinal Red paint, which was unique to the last batch of UK cars, gleaming. The has picked up top spot in several Club show awards. 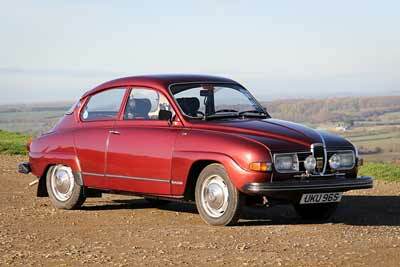 This important Saab 96L goes under the hammer with an estimate of between £15,000 and £20,000. 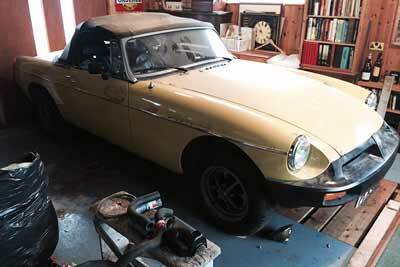 Other highlights at the auction include this barn find 1980 MGB. The car has just one registered keeper from new and shows just 181 miles. The MGB is offered at no reserve. 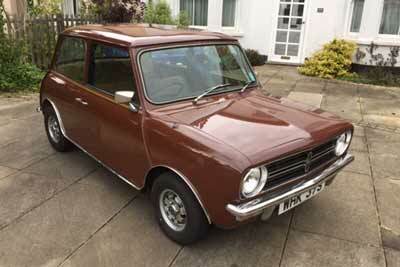 Also offered is a fantastically original 1977 Mini Clubman that has covered just 8,703 miles. Originally sold on 14th October 1977, the car was resold on 28th April 1978 to a friend of the original owner, then garaged in 1985 when she stopped driving… and never used again. The Mini Clubman is now going under the hammer with an estimate of between £7,000 and £9,000. 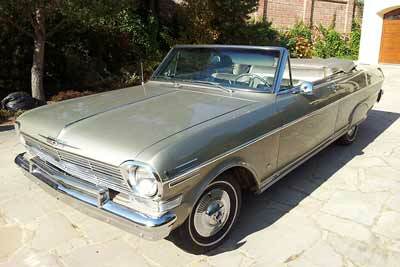 Last but no least we like the look of this extremely rare 1962 Chevrolet Nova Convertible. In amazingly well-preserved condition and the believed to be one of very few Nova Generation 1 Convertibles remaining in the whole of Europe. This classic Chevrolet is supplied with its original bill of sale and is offered at no reserve. Those not able to attend the sale in person this weekend can register to bid online or by phone, or by leaving a commission bid with CCA before the sale.